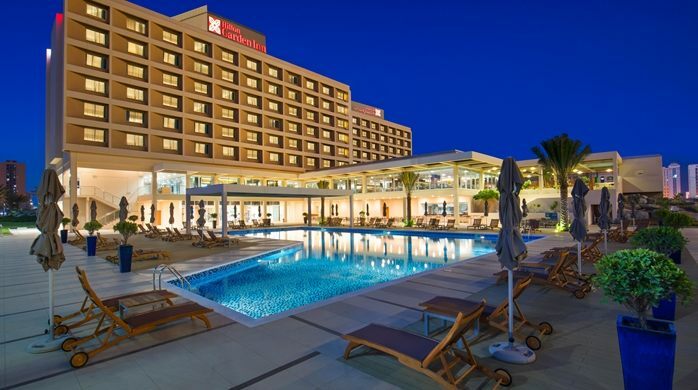 As one of the first hotels on Marjan Island, Ras Al Khaimah, The DoubleTree by Hilton Marjan Island Resort & Spa offers its guests excellent facilities in a perfect setting. Marjan Island pokes out into the Arabian Gulf, attached to the mainland, giving the DoubleTree near-360-degree sea views and a prominent position in this brand new and very up scale district. As such each of the beautifully appointed 484 rooms, suites and luxury chalets feature terraces or balconies that overlook the prestigious development. 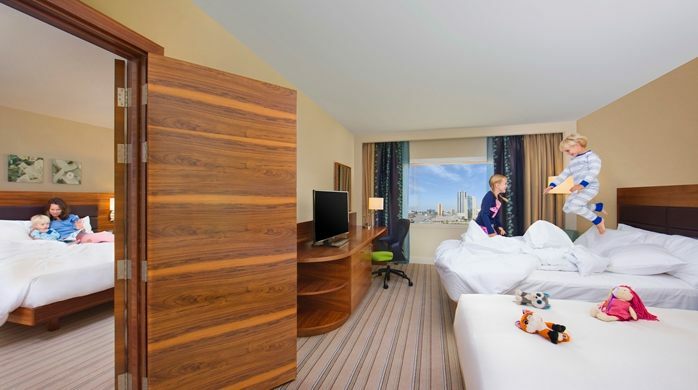 In addition to the views, guests will enjoy the delightful Sweet Dreams experience, a signature DoubleTree approach to providing perfect sleep through plush mattresses, down duvets, luxury linens and tailored waking facilities. The hotel has 350 metres of private, pearly sand beach for guests to soak up the sun in peace. Also on-site are three swimming pools and a kids club with two kids’ pools complete with water slides and a playground. Adults, too, get their own playground of beach volleyball courts, table tennis and billiards, and the 24-hour Doubletree Fitness centre by Precor. 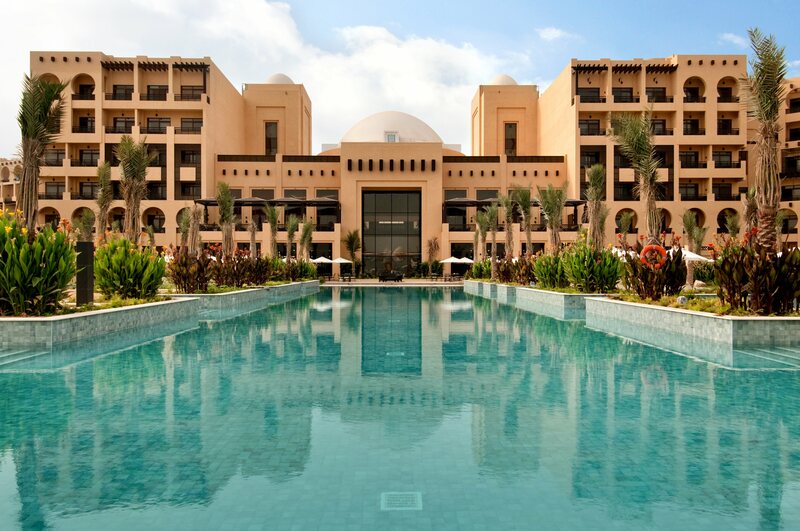 Beyond the resort walls, guests will find a host of upmarket amenities and attractions in Ras Al Khaimah, including several prestigious shopping malls and golf courses. 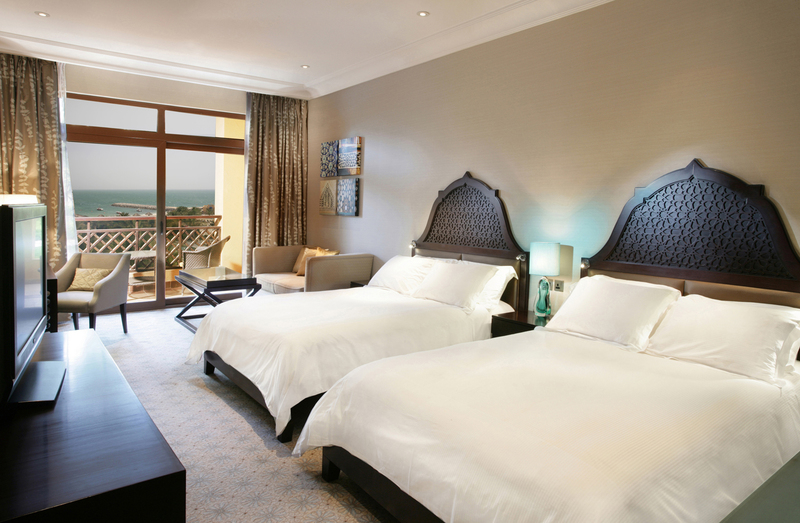 The hotel also runs a convenient shuttle service to Dubai 3 times per week. 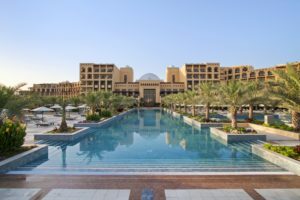 Dining options here are second to none, and guests will also enjoy the rooftop bar, overlooking the more traditional UAE world of Ras Al Khaimah and the desert landscape. 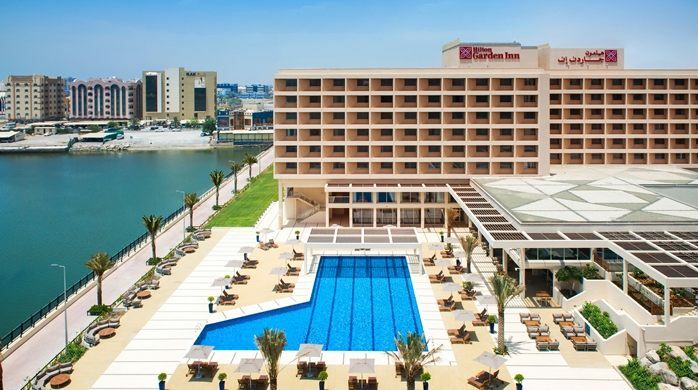 Occupying a prime waterfront position in Ras Al Khaimah, the Cove Rotana Resort is a new luxury hotel offering beautiful accommodation and a fantastic range of resort facilities. Each room features a private balcony or terrace with delightful views. Guests of the Cove Rotana Resort can enjoy the hotel’s private beach, stretching for some 600 metres and featuring scenic views over the Hajja Mountains as a backdrop. Includes 2 infinity swimming pools and one children pool, a range of water sports and a well-equipped health and fitness centre. The Cove Rotana offers numerous food and beverage outlets to suit all tastes. Guests can enjoy all-day dining at the hotel’s international restaurant, drinks and snacks at the beach cabana and pool bar or the Italian restaurant. The hotel’s 202 guest rooms are beautifully decorated and are contemporary in style. 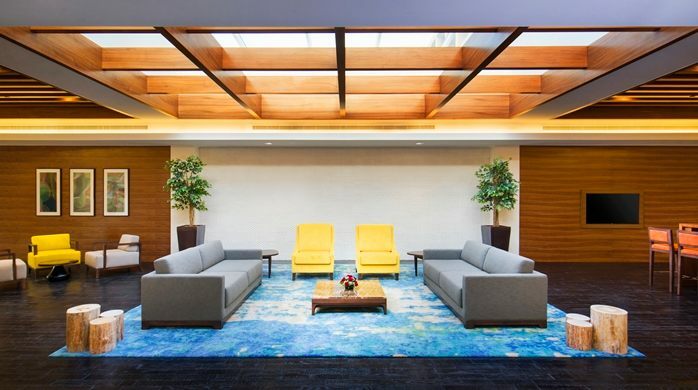 The hotel provides facilities like Dry cleaning, Safe deposit box, Banquet facilities, Secretarial services, Bar, Gym / Fitness facilities, Laundry service, Swimming pool-outdoor, Business centre, Lobby, Non-smoking rooms, Concierge, Conference facilities, Currency exchange. Located just minutes away from Ras Al Khaimah Airport and is just a 45-minute drive from Dubai on the newly built Emirates Road.